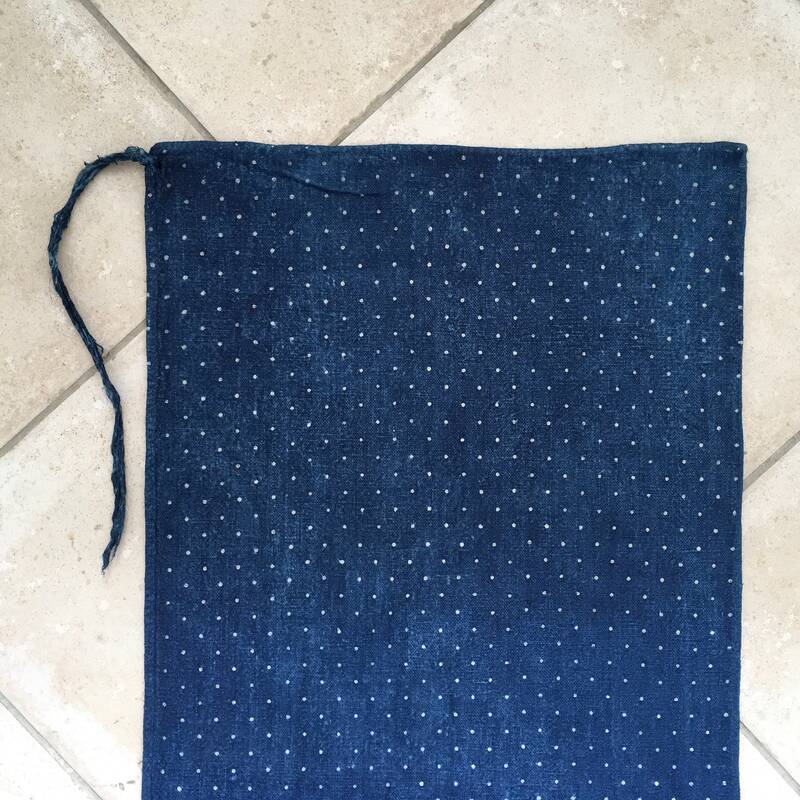 Natural Indigo blue traditionally dyed by hand with hand blocked polka dot grain sack for upholstery projects. 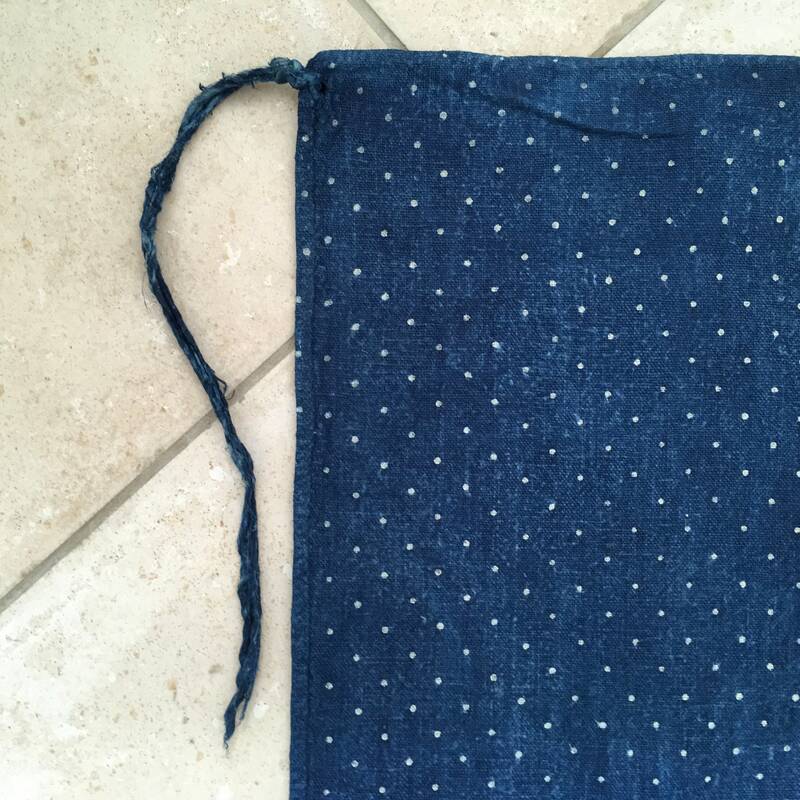 This vintage linen grainsack has been handspun and homespun pre 1940, it is very durable, with hand stitched seams, the fabric has a wonderful texture to touch. 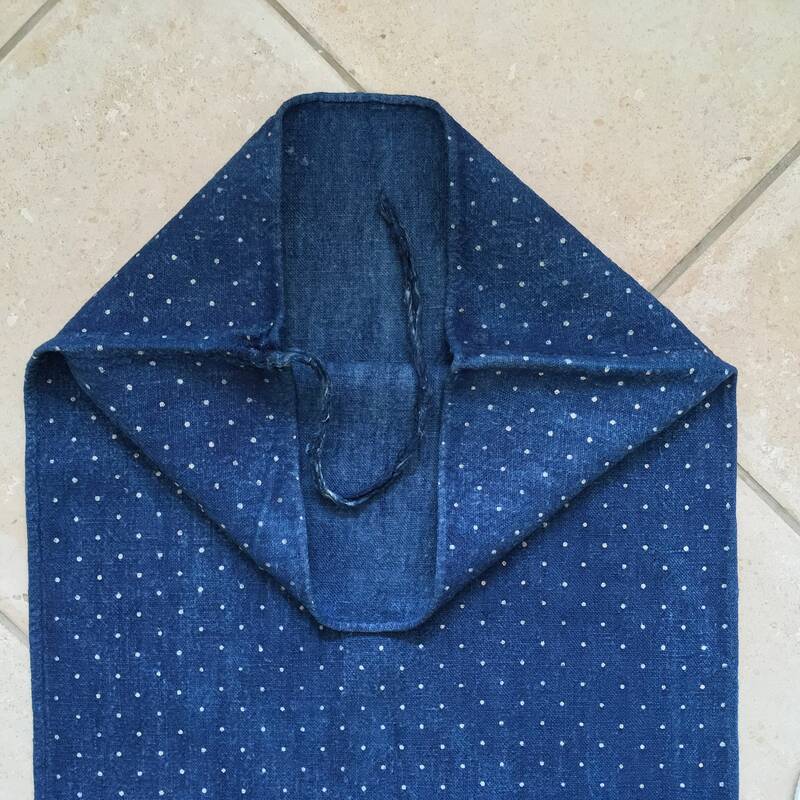 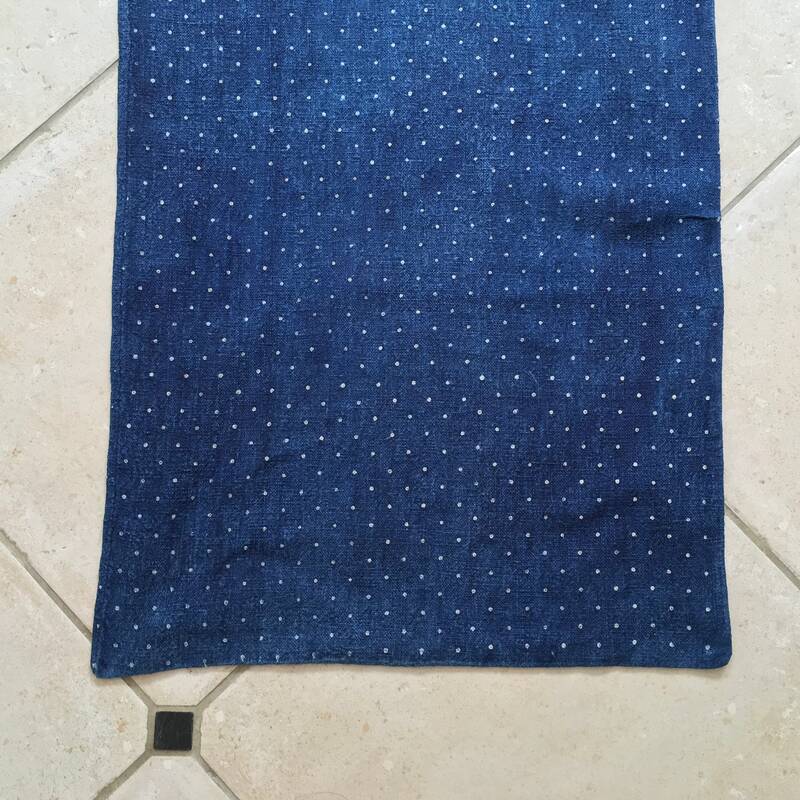 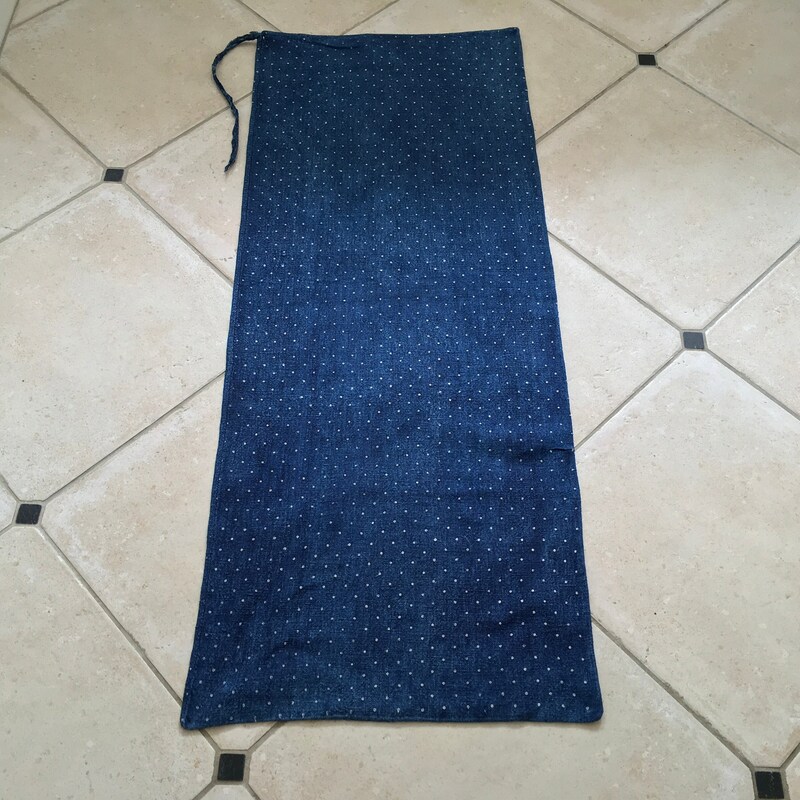 Lovely floppy mid-weight vintage Hungarian linen in dark indigo blue with small dots.